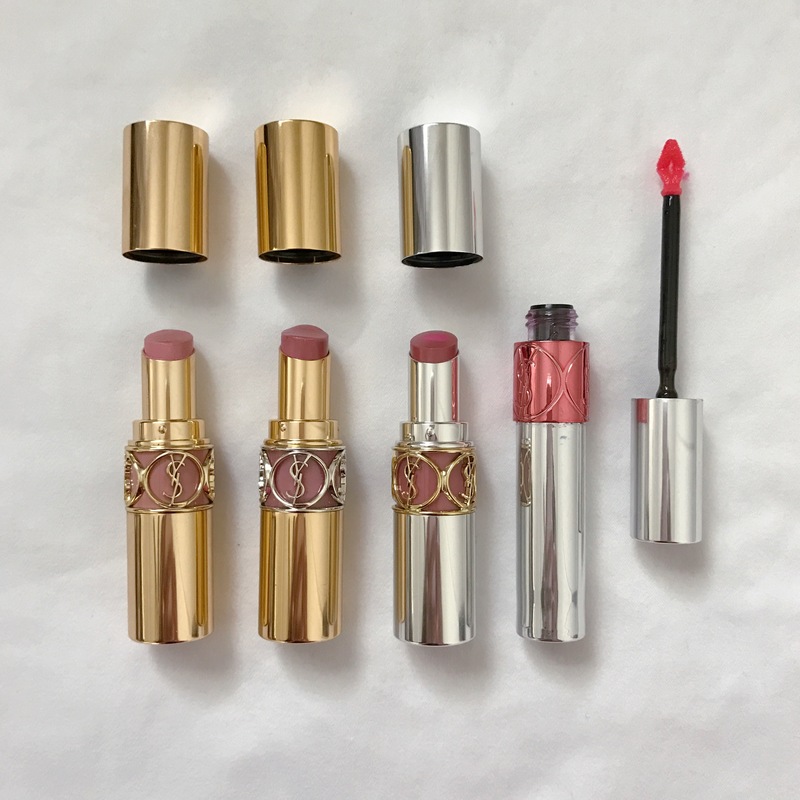 Lip products are some of my favorite makeup items, especially from YSL, so I thought I would share them with you today. 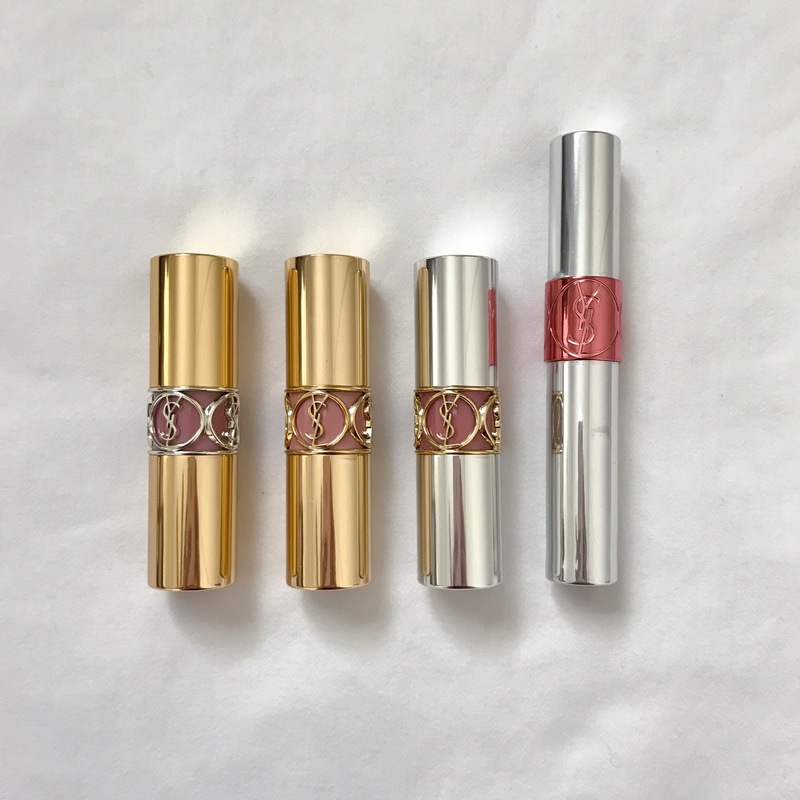 There are many high end makeup products that I just don’t think are worth the money, but I really think YSL makes amazing lip products (and mascaras!) and really are worth the high price tag. Their packaging is so beautiful and luxurious, and the products also feel that way on the lips. All of these products make my lips feel so soft and hydrated, and really feel unlike any other lip products I’ve ever tried. Rouge Volupte is a very creamy, full color lipstick. It feels like silk on your lips! Rouge Volupte Shine is a medium coverage lipstick that gives a good amount of color, but feels very moisturizing like a lip balm. Volupte Tint-In-Balm is a sheer coverage color that is more like a tinted lip balm. I love this on days where I’m only wearing light makeup, or even no makeup days. Volupte Tint-In-Oil is a sheer coverage lip oil. This is probably my favorite out of all four. I normally don’t wear lip gloss because I don’t like the feel of it, but this is an oil that completely moisturizes your lips and is not sticky at all. I love wearing this on light makeup days, especially in the spring and summer. The swatch looks like it might not show up with any color, but on the lips you can definitely see color, although it is sheer. 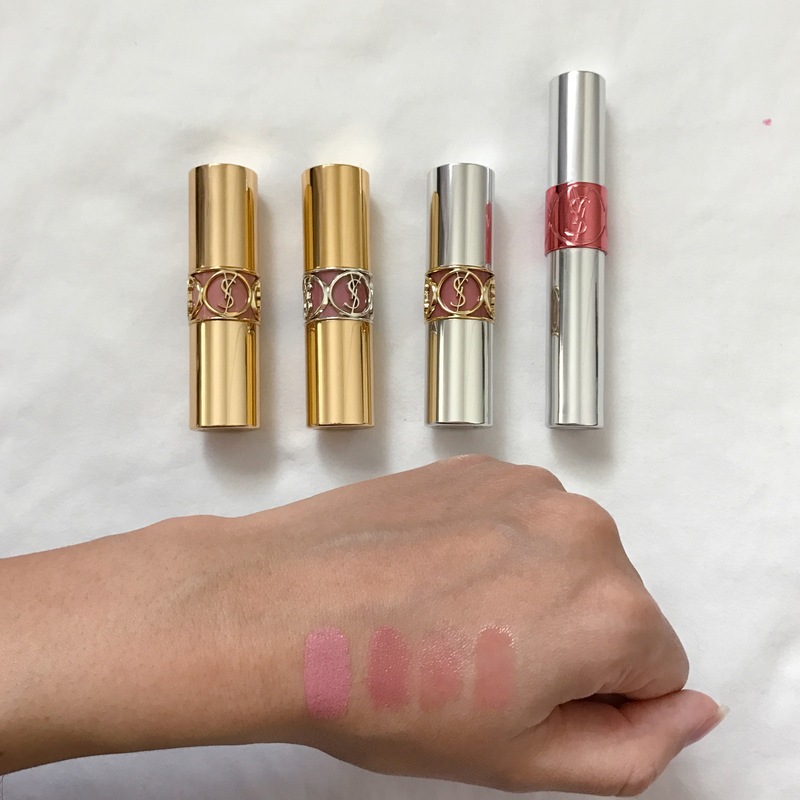 Have you tried any YSL lip products? What is your favorite luxury lip product? I’d love to know! YSL packing is so gorgeous! That’s totally what drew me in, but the products are fabulous too!